Legendary performers such as Dave Matthews Band, Coldplay, Luke Bryan, Jimmy Buffett, Foo Fighters, Tom Petty, Mumford & Sons, Zac Brown Band and Maroon 5 have graced the stage at KeyBank Pavilion. Located on protected wetlands in Southwestern Pennsylvania, 26 miles outside of downtown Pittsburgh and only 12 miles from Pittsburgh International Airport. Legendary performers such as Def Leppard, Wiz Khalifa, and James Taylor have appeared on stage at The Pavilion at Montage Mountain, located atop the picturesque Montage Mountain. Legendary performers such as Twenty One Pilots, The Roots Picnic, and O.A.R have appeared on stage at the Festival Pier, located at Penn's Landing right on the Delaware River Waterfront in Philadelphia. Legendary performances such as Maroon 5, Justin Timberlake, and Bruce Springsteen have appeared on stage at Hersheypark Stadium, located in Hershey, PA home of Hershey's chocolate. Located on North Broad Street, in the heart of the city, The Met Philadelphia was originally built in 1908 by opera impresario Oscar Hammerstein. This historic theater listed on the National Resisters of Historic Places underwent a $56 million restoration to transform into the crown jewel of North Broad Street’s renaissance. Legendary performers such as Hall & Oates, Joe Walsh, Grace Potter, and Bryan Adams have graced The Fillmore stage, located in Philadelphia, Pennsylvania. 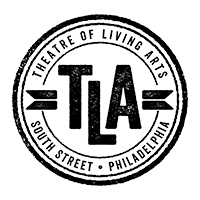 The Theatre of the Living Arts, also known as the TLA, is one of Philadelphia’s finest music clubs. Located in the heart of South Street, this 1,000 person general admission movie theater turned music venue with VIP Decks hosts over 150 shows a year. From rock to reggae and everything in between, the TLA is sure to have something for everyone! 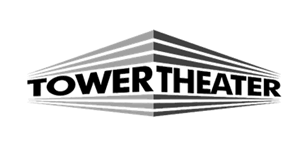 Legendary performers including Gregg Allman, Santana and David Bowie have graced the stage at Tower Theater, located in Upper Darby, Pennsylvania.